The price of our F150 and F250 transmissions have never been lower than right now. 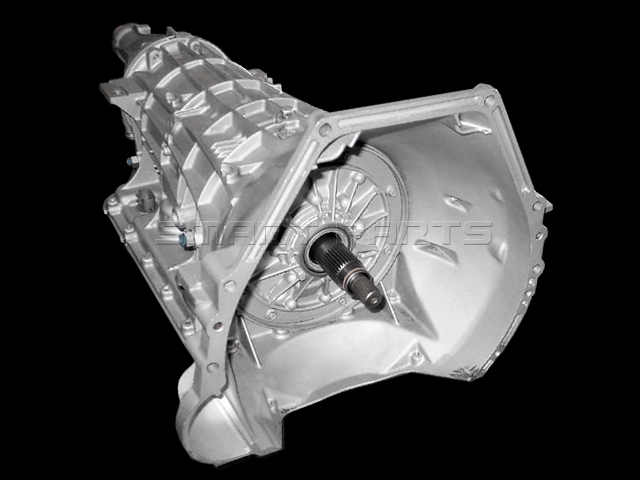 We carry a wide selection of units, like the M5R2 which is a manual F150 transmission used from 1988 to 2003. 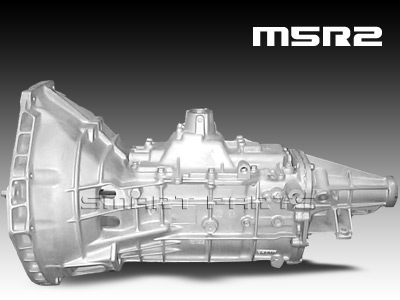 The automatic 5R110W is our most popular F250 transmission to date, covering the larger super duty pickup trucks. All of our transmissions are Dyno tested and come with our premium warranty. 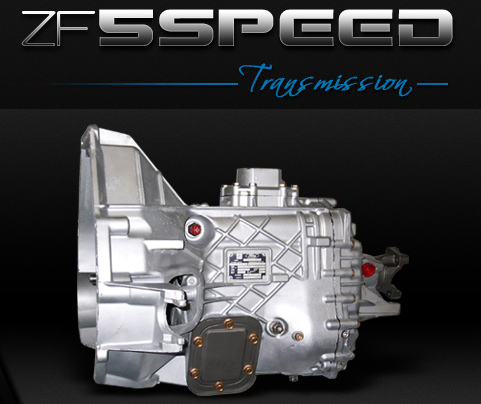 If you have trouble finding out what transmission goes in your F150 or F250 truck, don't hesitate to contact one of our representatives to assist you in finding a compatible fit. The 4R70W rear wheel electronic overdrive trans is comparable to the AODE. It is the updated wide ratio version, though the two are not interchangeable. The alpha numerals signify 4 for the number of gears, R for rear wheel drive, and a horsepower rating of 70. First made in 1997, the 4R100 is another rear wheel computer-driven overdrive. The 4R100 and E4OD shared a year of overlap where either could be found in many full-size Ford trucks. Ford Mustangs and Lincoln Continentals and Town Cars also ran on this trans from 1980 to 1986. The E40D is a rear wheel drive electronic overdrive trans found in Ford F-series trucks built between 1988 and 1998. This drive was Ford's response to calls for a system for a heavy duty automatic trans. It also shifts via computer command. The AOD drive is a non-electronic hydraulic overdrive trans found in Ford trucks circa 1981-1993. The part is also categorized as AOT for Automatic Overdrive and FIOD for Ford Integrated Overdrive. The E update adds electronic capability. Production on the latter began in 1992. The AOD, AODE and 4R70W below were used in many Ford trucks assembled in 1992 and 1993. 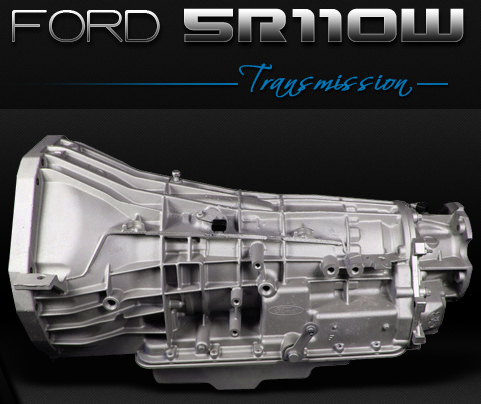 Dubbed TorqShift, the 5R110W is an electronic rear wheel drive 5 speed trans installed in full-size Ford trucks after 2003. Though the 5R110W has six forward gear ratios, 5th gear is bypassed when the drive is in cold mode. Valves are replaced completely by solenoids in newer TorqShifts. This allows for total control by the truck's PCM or powertrain control module. The Mazda Ford M5R2 and MR52 4x4 are aluminum cased 5-speed manual drives introduced in two variations in 1987 and 1999-onward. The earlier trans is found in Broncos and F150 trucks and also cars like the Mercury Cougar XR7. The later trans has fiber-lined synchro rings and serves F250 pickup trucks. 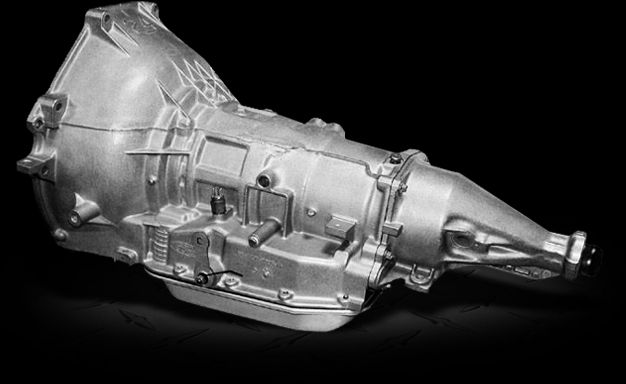 The 435 is NP's stick top-shift trans found in heavy-duty Ford trucks from 1966-1992. The 435 was made for ½-ton, 3/4-ton and 1-ton trucks like Broncos. The 435 also fits some Dodge trucks with equivalent trans housings. ZF manual trans drives are products of the ZF Group. The initials stand for Zahnradfabrik Friedrichshafen, a German company whose name means gear factory. ZF Group opened American production in 1986 and Ford became one of its largest accounts. A ZF 5 speed four wheel trans drive was first installed in a light Ford pickup truck in 1988. The ZF 5 Speed has a uniquely crisscrossed pattern on its laterals. The ZF is a problematic install but the results are worth it: it handles exceptionally well on highways at cruising speed and on off-road trails. 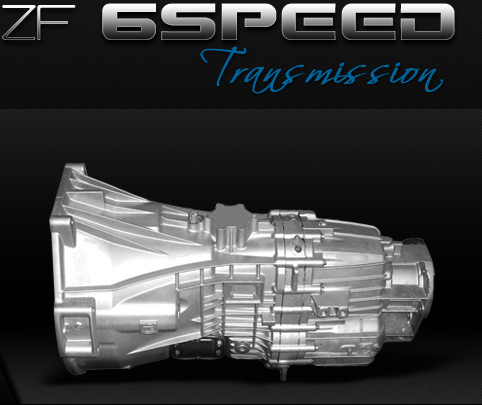 The ZF 6 speed offers a slightly higher level of shifting comfort and optimizes fuel consumption. ZFs are found in sporty sedans and full-size trucks like the F350 and F550 Super Duty. How can I tell what transmission goes in my F150 or F250 truck? The C6 tag is an identification tag found on the lower front intermediate servo cover bolt in full-size trucks like the F150. The C6 tag displays two short rows of alpha numerals The first all-letter set will be the trans model code, such as NP435. 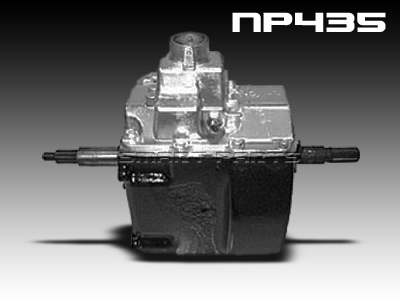 NP435 stands for New Process 435, a well-built manual top-shift drive found in many heavy-duty Ford trucks built circa 1966-1992. The NP435 is forged of cast iron, maintains well and is an affordable aftermarket part. The C6 tag also displays a double-digit build date code in top right quadrant. The lower row of alpha numerals show the transmission's assembly part code as a four-character prefix and two-character suffix. The model number and build date should suffice. If the C6 tag is unreadable or not on the servo cover bolt, the owner can look for Lateral Identification Tag on the trans itself. The tag is found on the right or left side behind the TR or range sensor. This tag displays the same information in a series of stacked horizontal rows in the upper right-hand quadrant in descending order: assembly part; transmission model; transmission numeric serial code; build date. A sample model code is E40D, used for Ford's rear wheel drive electronic overdrive trans found in full size trucks like the F250 and F450 built between 1988 and 1998. What is also important is how to read the build dates. Only the era of manufacture is readable in the build date code. The months are easy to note as they correspond to the first twelve letters of the alphabet. The number of the year is the last number of any sequential year during which the model was built. For example, if the date of manufacture was September 1996, its code will be J6. If the date of manufacture was March 1989, its code will be C9. A chart legend may accompany the ID tag. The transmissions described below can be found on our company's website along with the following models. Some newer trans drives will fit older trucks pending the role of electronics, size and housing compatibility and other specifications. Truck type and fluid pan size can determine some trans models.